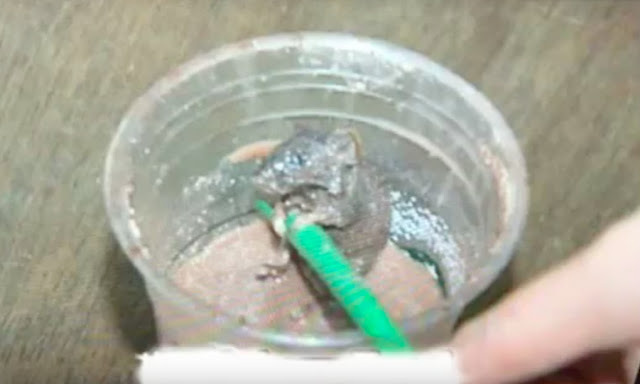 MANILA, Philippines- A Starbucks customer was horrified after discovering a lifeless mouse in a coffee she purchased from a Starbucks Coffee shop in Addition Hills branch in Mandaluyong City on Tuesday, January 26. A Starbucks customer allegedly found a peculiar ingredient in her coffee. According to the complainant under the alias Jessa, she and her friends ordered food and beverage from the said branch at around 9pm. After a few hours, the group decided to leave the store and head home. Jessa opted to take her drinks out since she hadn’t finished it. On her way home, Jessa noticed a hard object in her drink and opened the lid to see what’s inside. To her surprise, Jessa found a dead mouse floating in her drink. “Pagka-stir ko, doon ko nakita yung daga,” she told ABS-CBN News. This prompted Jessa to call her friends who then accompanied her to report the incident at the said branch. However, the branch manager reportedly denied that the lifeless mouse came from their store. The branch manager insisted that the store is clean since they have a sanitation permit. They were even told to just come back if something happens. Because the issue wasn’t resolved, Jessa then proceeded to file an incident report at the Mandaluyong Philippine National Police (PNP). The Health and Sanitation Office of the City Health Department of Mandaluyong immediately took action and sent their staff to conduct an investigation at the said branch the next morning. Although the staff had a mission order, the management of Starbucks branch didn’t allow them to inspect the kitchen of the store. In a statement, Starbucks Philippines revealed that they are currently conducting an investigation on the incident. “We want everyone who visits our stores to enjoy their visit, and we take such claims very seriously. Ensuring all our products meet Starbucks high quality assurance standards is a top priority, and we are actively investigating this customer’s concern, “ Starbucks Philippines said in a statement.